It is moored in the “los Llanos” pier, in front of the Cabildo of the city. The replica of one of the most famous ships of all times, the Nao Santa María, the ship capitained by Christopher Columbus of 1492, is docked in Santa de Cruz de Tenerife. 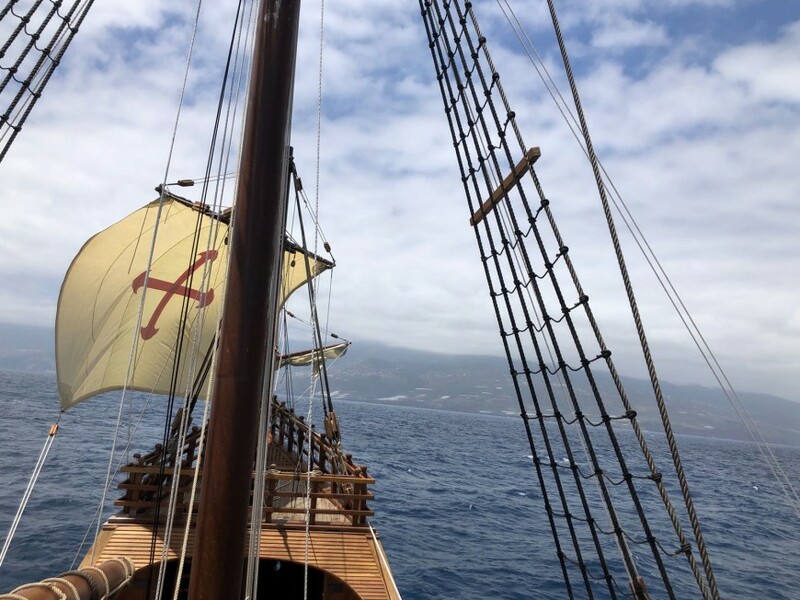 During the stay in Santa Cruz de Tenerife and before sailing to La Gomera, will be open to regular visitors during this weekend, from November 16th to 18th, from 10am at 7pm. Who wish can get on board, appreciate its details, go down to its hold and know its great history and life aboard of this famous ship of the Age of Discovery.